All the Beauty. All the Strength. 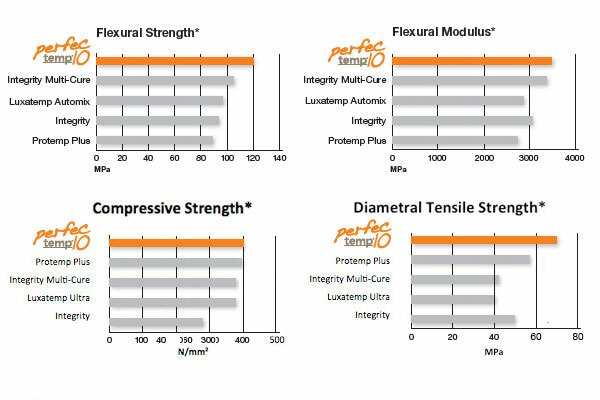 DenMat’s next generation of temporary material, Perfectemp10®, is everything that defines a premium temporary crown and bridge material, delivering fast, strong, and esthetic temporaries for the patient and your practice. 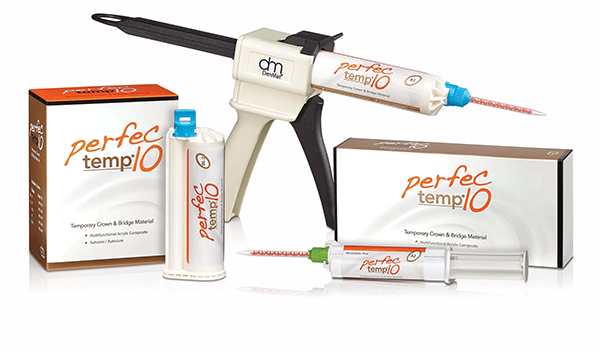 Perfectemp10® features a 10:1 auto-mix formulation, accelerated set times (1:30 intra-oral, 4:30 full cure), minimal shrinkage, minimal oxygen inhibited layer for optimal handling and a natural looking luster with minimal to no polishing required. 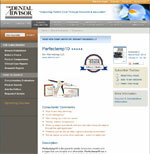 Perfectemp10® is available in a 50ml cartridge pack that includes 15 auto-mix tips and comes in five Vita shades; A1, A2, A3.5, B1 and BL2. It is also available in a 10ml syringe that includes 8 auto-mix tips and comes in three Vita shades; A1, A2 and A3.5. 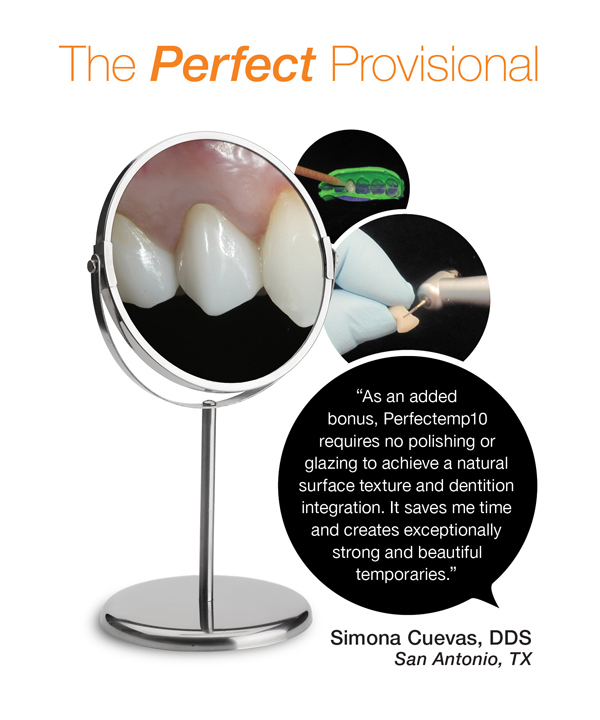 Small filler particle size results in a glossy surface Nice translucency – naturally beautiful temporaries, minimal polishing required. 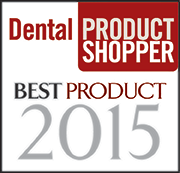 Multiple Uses High esthetic temporary crowns, partial crowns, bridge, inlays, onlays and veneers. 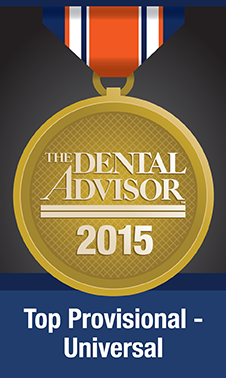 Perfectemp10 wins the Dental Advisor’s Editor’s Choice Award!